We happily made a return trip to ‘The Motherland’ (Canada), to shoot high school sweethearts, Rebecca and Nick at their destination wedding in the Okanagan. 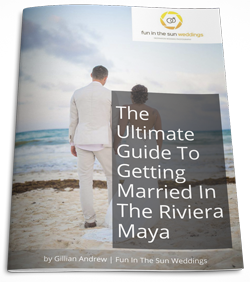 The Bride and Groom had talked about a Riviera Maya wedding, but when the reality of getting their friends and family down to the Caribbean started to set in, they decided to say their “I Do’s” in a destination wedding a little closer to home. Osoyoos, B.C. fit the bill for the fun and sun they were looking for, with its amazing wineries, beautiful lake, and the heat! 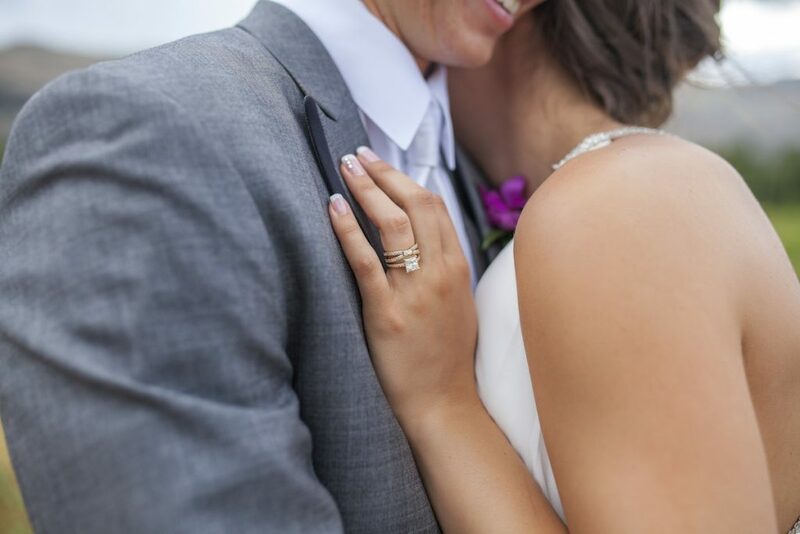 The wedding ceremony and reception were held at the Watermark Beach Resort in Osoyoos, B.C. and its spectacular lakeside location provided the perfect venue not only for their wedding celebration but also a fun summer holiday with their wedding guests. Rebecca tells me that she was extremely nervous about the ceremony, and her main concern for the day was getting through it. After that, she and Nick just wanted to enjoy their wedding day and have FUN! They agreed not to let anything get to them on that day, and all they wanted was for their guests to have the best time. Rebecca found her wedding dress at Elle Bay Bridal, a tiny little bridal boutique that initially had her thinking “Ummmmm, where are all the dresses?” She spotted her wedding gown on a manikin and did not think it was the style she wanted….until she tried it on. The Newlyweds were a treat for Marc, our lead wedding photographer, to work with. They were open minded to his creative ideas, and when he decided to use an old dilapidated barn with signage clearly stating ‘Do Not Enter’ as a backdrop, there was no hesitation on their part. And the result is magical wedding photos. The day went off without a hitch thanks to wedding planner Lara and her team at Coco Events & Weddings. Rebecca has loved purple since she was a little girl, so naturally, Lara incorporated it into all the little details that made her wedding beautiful and offset it with white and silver, adding a touch of class. Rebecca and Nick, thank you SO much for the pleasure of working with you! We wish you all the best in this next chapter of your lives together! ***AND HEY! 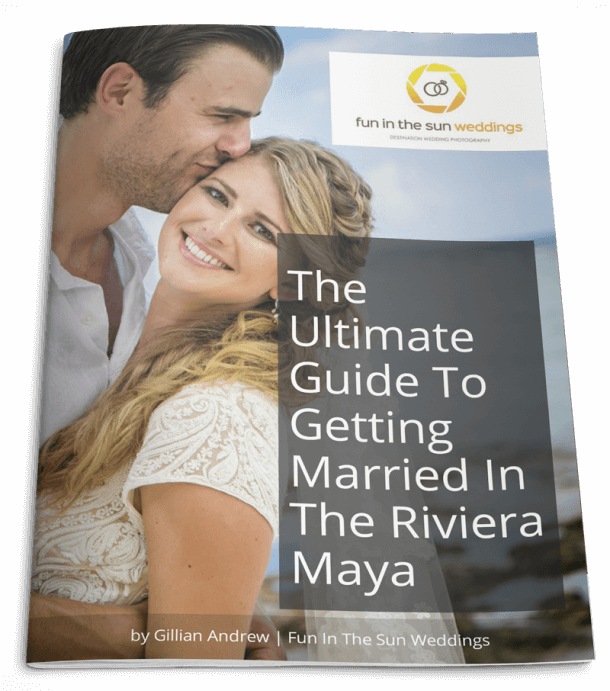 If you’re looking for Canadian born and raised wedding photographers who are now based full time in Riviera Maya, Mexico…but who travel back to Canada in the summer, then contact us today! You just may get lucky and catch us in the great white north! Want to know more about the Watermark Beach Resort? Read unbiased reviews on Tripadvisor here. Fun in the Sun Weddings went above and beyond in ensuring that my husband and my wedding photos were beautiful AND that we enjoyed taking them! Both my husband and myself are not big on picture taking and tend not to be photogenic.... Marc was and unreal photographer and brought out the best pictures possible, while bringing out honest laughter and smiles! My husband and I are still over the moon impressed with how fantastic Gillian and Marc are and have been passing Fun in The Sun Weddings along to everyone! We can't thank Gillian and Marc enough for making a painful part of a wedding (taking a million pictures) such an enjoyable time. Marc was absolutely amazing! Weddings are stressful and busy days and he ensured that we were laughing and enjoying every moment! Marc's mixture of professionalism and his amazing sense of humour made our special day amazing! I Highly recommend Fun In The Sun Weddings! !